Following a meeting in Houston, researchers at the University of Agder and Rice University are looking for ways to collaborate on emergency management projects. “We have a lot in common. We gather and analyze data to better understand what is happening in an emergency. This enables us to make better decisions in critical situations,” says Professor Bjørn Erik Munkvold, Director of Center for Integrated Emergency Management (CIEM) at the University of Agder. Munkvold gave a presentation of CIEM to colleagues from Rice University in Houston last Friday, less than a year after hurricane Harvey flooded Houston, killing 103 people and leaving tens of thousands homeless. The meeting was hosted by the Nortex Data Science Cluster, a research collaboration between Norway and the American state of Texas. For decades, Rice University has been researching natural disasters and how data can be used to predict and mitigate the effects of the huge rainfalls that are dropped on the city. “Historically, Houston has experienced a large flood with 6 to 7 years intervals. Now we have had big floods in 2015, 2016 and 2017. The last, Harvey, had huge consequences for people and infrastructure,” says Philip Bedient, Director of Severe Storm Prediction, Education and Evacuation from Disasters Center at Rice University. 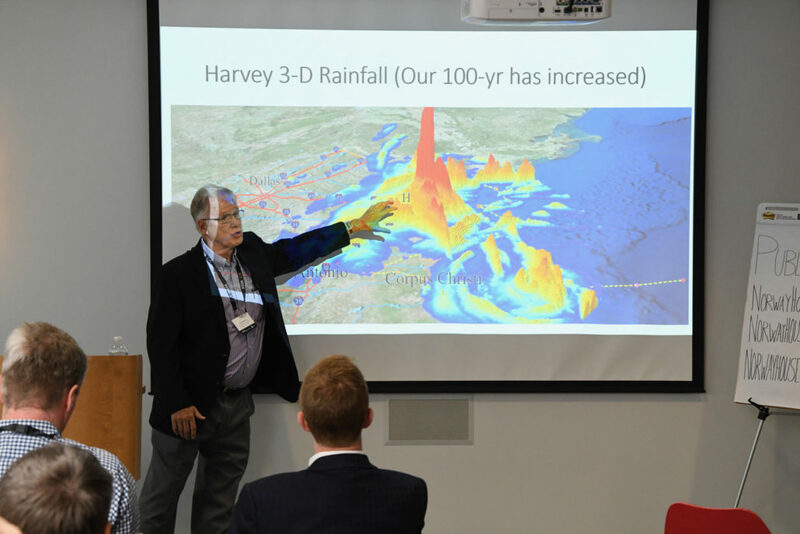 “With Harvey fresh in memory here in Houston, discussions on the NorTex Data Science Cluster emergency management seminar were particularly relevant. We will now explore how we can reinforce an established cooperation between universities in Norway and Texas through projects in this field,” says Jan Erik Ødegård, Executive Director at Ken Kennedy Institute for Information Technology and Associate Vice President Research Computing at Rice University. Researchers from the University of Agder and Rice University in Houston met in Houston to discuss crisis management. 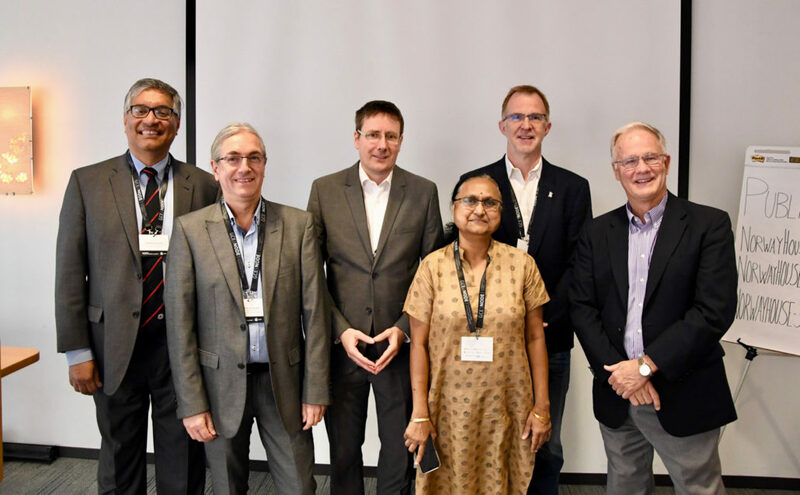 Left-right: Deepak Khazanchi, Bjørn Erik Munkvold and Christian Webersik from the University of Agder, and Devika Subramanian, Jan Erik Ødegård and Philip Bedient from Rice University.